This is the giantest stone I’ve ever set. 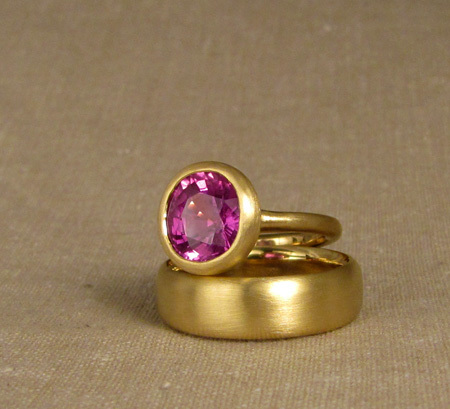 It’s an amazing 9+ mm diameter intense pink sapphire bezel set into 22K gold. The man’s band is also 22K. I was sweating a little setting this thing, but I prevailed and the final result was SO worth it. 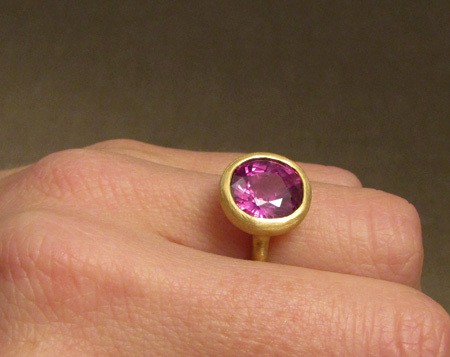 This entry was posted on Monday, December 22nd, 2014 at 12:35 pm	and is filed under New work, Rings. You can follow any responses to this entry through the RSS 2.0 feed. You can leave a response, or trackback from your own site. 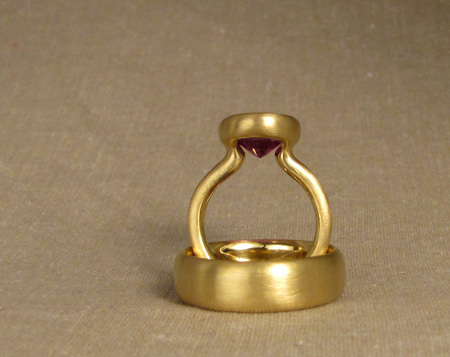 I just discovered your blog and am now flipping through your pictures! 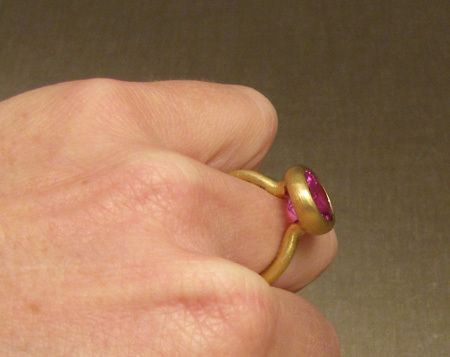 I notice you do a number of wax based rings — was this one wax as well or simply handforged?